Earth Day Pedal and Paddle Tours! Earth Day (4/22) Bicycle and Canoe Tours! 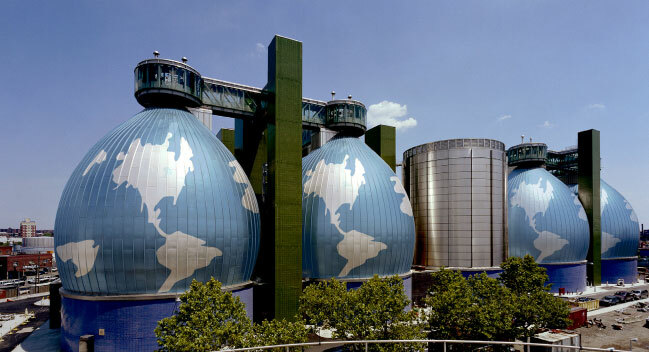 Register TODAY to join the free inside tours of the Newtown Creek Wastewater Treatment Plant: Spots fill up fast! Have even more fun and opportunities to learn by joining HarborLAB’s unique bicycle and canoe tours leading to the interior tour! To combine our bicycle or canoe tour with the interior walking tour, opt for the 3PM interior walking tour. Registration for HarborLAB’s bicycle and canoe tours is entirely separate from registration for the NYCDEP’s interior walking tour. Details below. Our tours are also free, and we’re grateful for donations to support this work. Please see our calendar and Facebook events listing for greater and updating details on both tours. Participants will be additionally informed by tour leaders. Understand that these trips require volunteer labor and have limited capacity. No-shows are unfair to all. Register only if you’re serious about joining. Photo by Peter Morgan/Associated Press. Bring your own bike. Helmet required. Our canoe tour gathers at the GreenLaunch (53-21 Vernon Blvd, LIC, NY 11101) at noon and returns at 5PM. Highlights include: Canoe tour of environmental projects and plans for the Newtown Creek Superfund site — sustainable businesses on the creek — GreenLaunch habitat restoration orientation — Newtown Creek Wastewater Treatment Plant Tour — Newtown Creek Nature Walk. Mid-tide landings are messy and mucky. We provide canoes and safety gear. Cautions: Both city streets and waterways are dangerous with large vehicles and vessels and unexpected hazards. Listen to trip leaders. These trips are for adults and mature teens. More safety details to come for participants. Both tours depend on weather and safety conditions.